These are by far the BEST roasted potato wedges ever! Ok…they’re basically fries. But they are awesome. Golden and crispy on the outside, soft and tender on the inside. The perfect pair to a dinner or game day food. But the best part? This recipe only has 3 ingredients, is super easy, and only takes 30 minutes to bake. They are gluten-free and low-fodmap and pretty much just awesome. 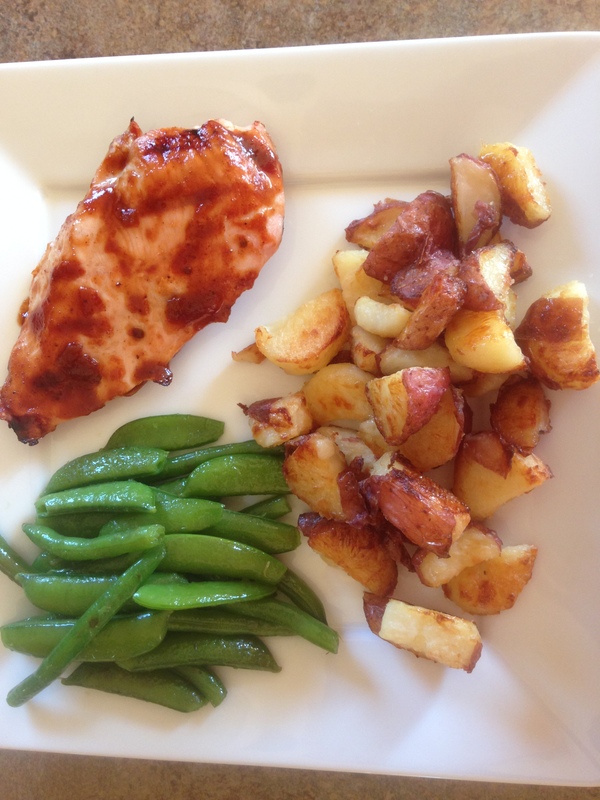 My husband and I may just devour a pan by ourselves…ok, maybe two. And don’t even get me started on dipping these golden rays of sunshine in some homemade Dill Ranch dressing. Delish. The secret to making these potatoes so crispy on the outside without compromising the inside is following the directions exactly. The shaking method is crucial to the success of this recipe – so read thoroughly! 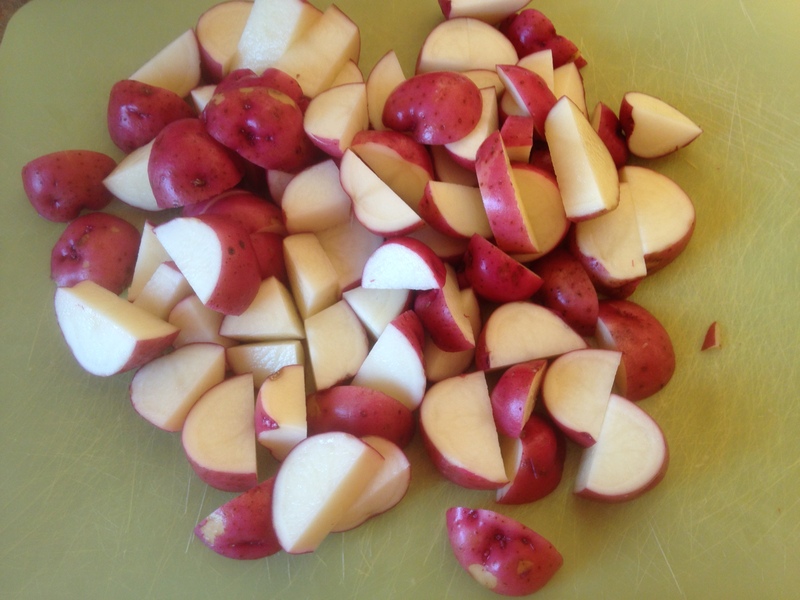 Preheat oven to 400 degrees F. Wash and cut potatoes into bite sized pieces or wedges. 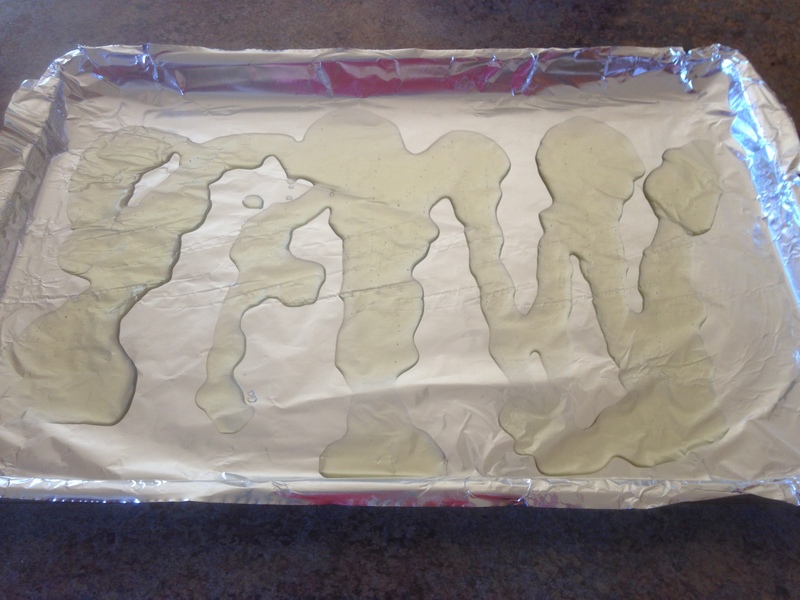 Layer rimmed baking sheet (or sheets) with foil – shiny side up. Don’t overcrowd the potatoes on one sheet or they will become mushy. If in doubt, error on the side of making two baking sheets. Drizzle a generous amount of olive oil onto the pan. This is the oil you will be “deep frying” the potatoes in so don’t skimp. 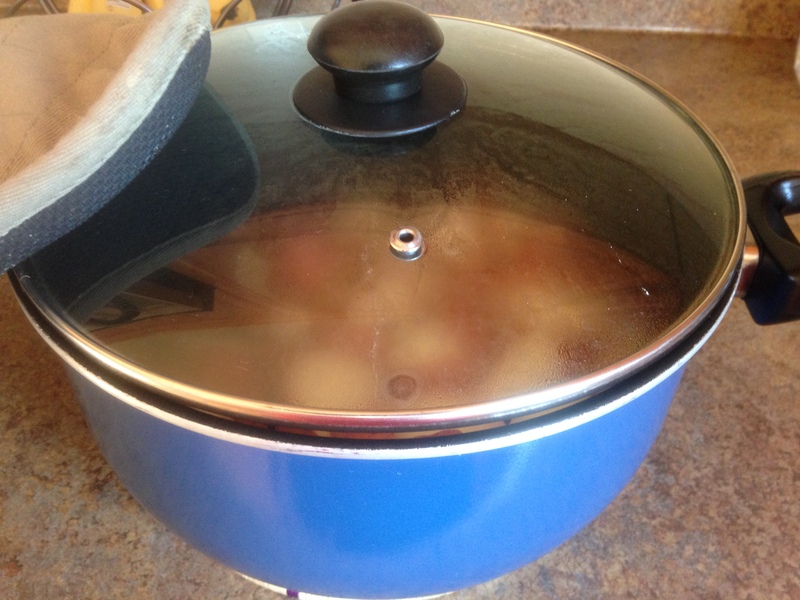 Add potatoes to a large sauce pan and cover with COLD water so they are completely covered. Add some sea salt, cover the pan, and set on high heat. Bring potatoes to a low boil. 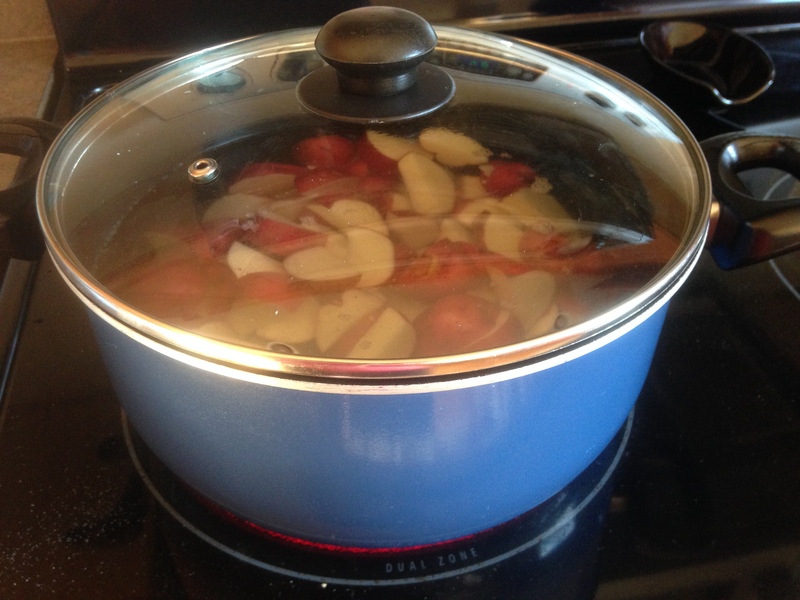 Once it begins boiling, turn heat down to medium and set the timer for 5 minutes. At this point your oven should be ready. Place baking sheet(s) with oil on the top rack in the middle of your oven. The oil will heat during the 5 minute timer. When your 5 minutes are up, drain the potatoes in a colander before returning them to the pan. The potatoes will not be fully cooked yet. Important: Here comes the crucial part to making them crispy. Cover the pan. With two hot pads so as not to burn your hands, grab the pan while holding the lid shut and shake the pan vigorously. Sing a little song. Do a little dance. This is a judge-free zone. Shake for a few seconds until the potatoes get a “fuzzy” look to them. Set aside. Take the baking sheets out of the oven and place on a hot pad – BE CAREFUL – the oil will be extremely hot and any spill or slip could result in burns! 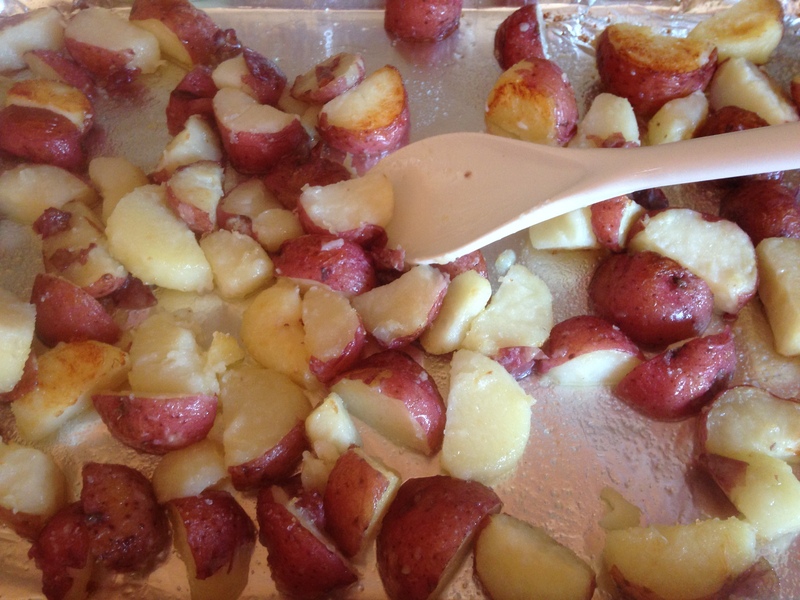 Carefully dump or spoon potatoes onto baking sheets. 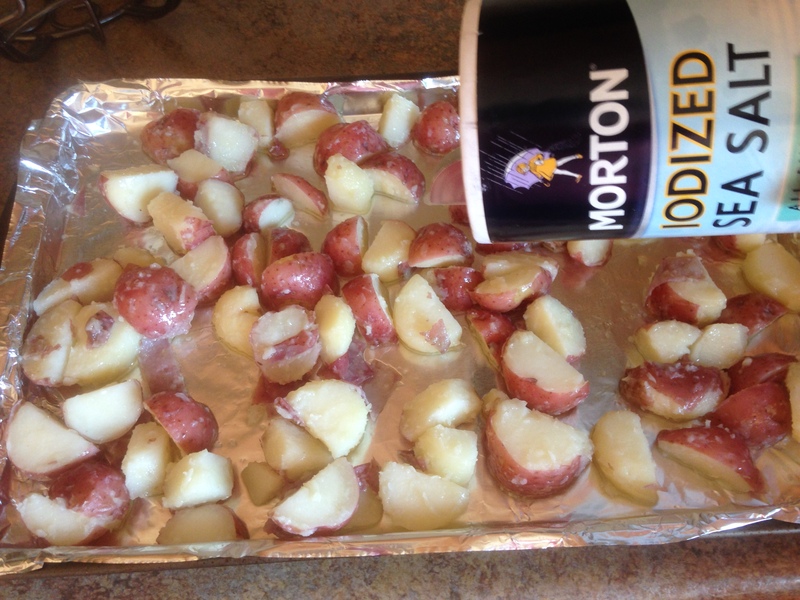 They will immediately sizzle as soon as they hit the hot oil. 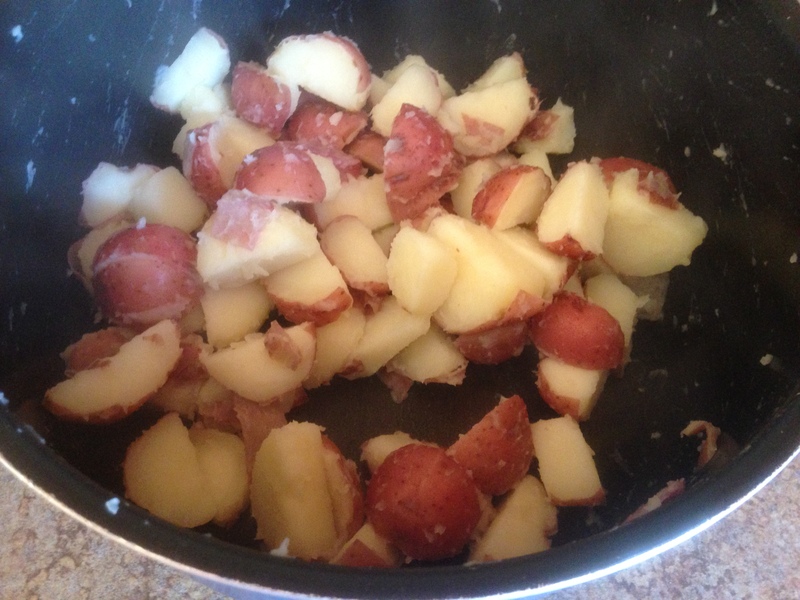 Stir potatoes to coat with the hot oil and add a generous amount of sea salt on top. Place baking pans with potatoes back in the oven and set timer for 15 minutes. If you have a convection fan, turning it on during the baking process will help it crisp even more! At 15 minutes, remove potatoes. Give it another stir and sprinkle again with sea salt if you’re feeling naughty. You can also add any variety of spices but these are just as good without. Bake again for another 15 minutes. Serve immediately. They are awesome just as they are or enjoy with Ranch dressing for dipping! Slightly adapted from chocolate & zucchini’s recipe.